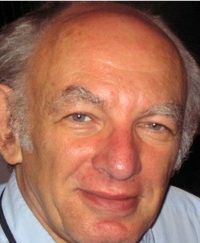 Dov Winer is a psychologist (Hebrew University of Jerusalem) who specialized in Online Education and Training (University of London). His professional activities focus on the application of ICT in education and cultural heritage. He founded the Israel Internet Society and participates in the Steering Committee of the EUN Association of European Ministries of Education for ICT. He took part in the process that led to Europeana (member of the NRG and Minerva, Ministerial Network for Valorizing Activities in digitalization). He has contributed to several European projects, the most recent of which are: Digital Manuscripts to Europeana (DM2E); Judaica Europeana; Linked Heritage; iTEC Designing the Future Classroom; and MOSAICA Semantically Enhanced, Multifaceted, Collaborative Access to Cultural Heritage. A full CV and links to his publications are available here.